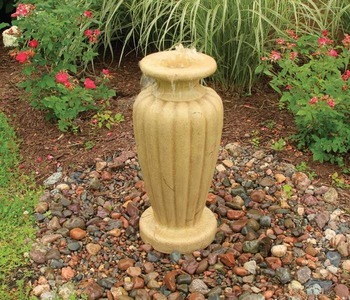 Aquascape Glass Fiber Reinforced Concrete (GRFC) decorative water fountains combine all the beauty of dyed or colored concrete with the added strength of reinforced glass fibers. All Aquascape decorative GFRC fountains come complete with a prefixed plumbing assembly that can easily be replaced with an Aquascape LED Core Ring Light. Who Is This Product For and Why Should They Buy It? This product is for homeowners who are planning their own water garden, or even contractors servicing a client. 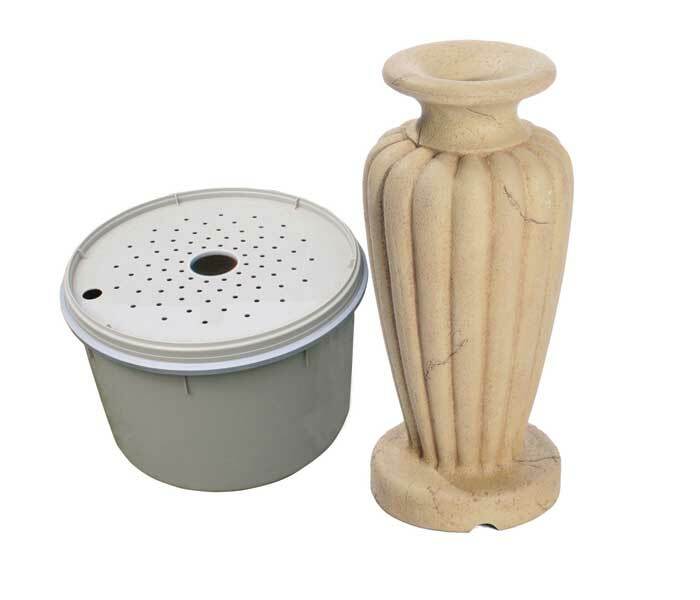 Whoever purchases this kit will find that it includes the pump, water basin, liner skirt and urn; everything that need to build a functional fountain. 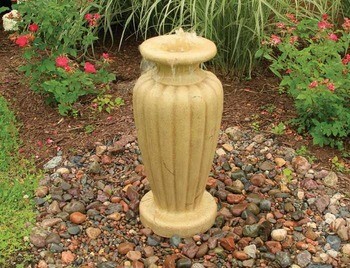 The size is perfect as a centerpiece or an additional water fountain in your water garden. The crush coral color is a neutral earthy color that will be versatile for any color scheme or theme you had planned. Aquascape is North America’s go to company for water landscaping.